A well-functioning gutter and downspout system preserves your topsoil and protects exterior siding and trim from backsplash water that can damage paint and cause wood rot. The experts at Sela Gutter Connection can install quality gutters that will provide effective roof drainage year round! 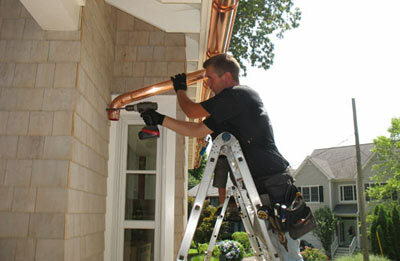 Don't wait to replace your gutters! Contact us today to get a free estimate on new or replacement gutters and downspouts throughout the Greater Minneapolis area! Sela Gutter Connection installed these attractive and functional gutters and downspouts to keep this Minneapolis home from being damaged from roof drainage. These two aspects of your home, gutters & roofing system, work with one another to protect your home. Call the professionals today for a free estimate! This little, well-kept home is improved even more with the recent addition of gutters and downspouts, protecting the homeowner's investment of time and money! These new Mastic downspouts divert the rain run-off into the customer-provided rain barrel at this Minneapolis residence. Call today for your free estimate! Tim is excellent. This is the second house he's done for us. He does great work and has excellent customer service. 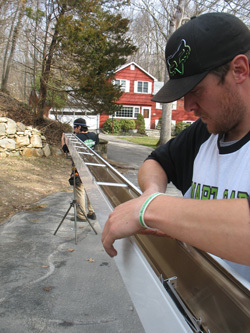 We want to complement Tony and Vinny on their workmanship on the installation of the leaf cover gutter system. Very happy with install! Best work from anyone we have hired to do work for us lately. We have been having work done on our house and have had lots of problems until we hired SELA GUTTER CONNECTION to install gutters. There was quality of work, and it was done right the first time. We are completely satisfied. Thank you. All seems as planned. Work done quickly and area well-maintained. Does not distract from beauty of the home. Pleased so far. Sela quickly came out to give us a quote for our newly constructed home, along with some ideas (hinged spouts). Soon after we scheduled an appointment and luckily the snow and cold didn't delay the installation. They look amazing, almost unnoticeable. Plus, they keep the rain water from splashing up onto our windows. The salesman Dave P. and the installers were friendly and helpful. They look and work great. I would highly recommend them. The schedulers were very easy to work with and accomodating to our schedule. The installers were prompt, polite, and conscientious. I would definitely recommend SELA for their service and competitive pricing. 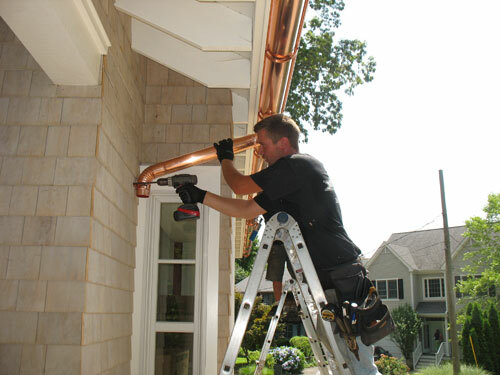 Our gutter experts at Sela Gutter Connection draw on their extensive knowledge and installation experience when evaluating your home. We can spot related problems such as damaged flashing or rotted fascia boards that require replacement or damaged flashing. In addition to gutter and downspout installation, we also install gutter guards to keep your gutter system performing like it should. Contact the roofing and gutter experts at Sela Gutter Connection by calling 1-844-686-4457 or fill out the online form for a free inspection and estimate! We offer all our gutter services in Saint Paul, Minneapolis, Plymouth, Golden Valley, Eden Prairie, Minnetonka, Andover, Burnsville, Lakeville, New Hope and throughout the surrounding areas.